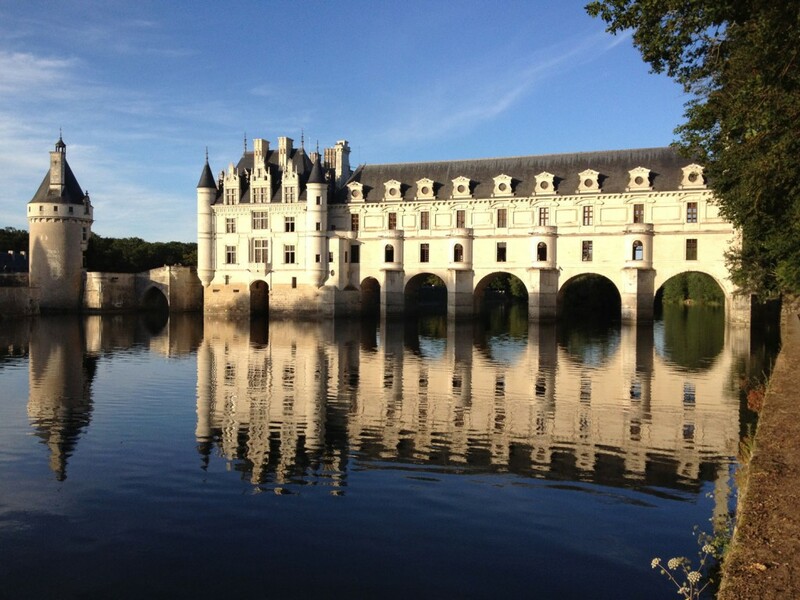 Château de Chenonceau has always been one of my favourites and is definitely among the top ten châteaux in the Loire. In recent years, we’ve cycled along the path on the opposite side several times and taken some wonderful photos of outside but we haven’t visited the interior for some years. The weather was supposed to be better but it turned out to be too cold to cycle (14°C) with occasional light showers, despite the fact that we’re already in the second half of May. 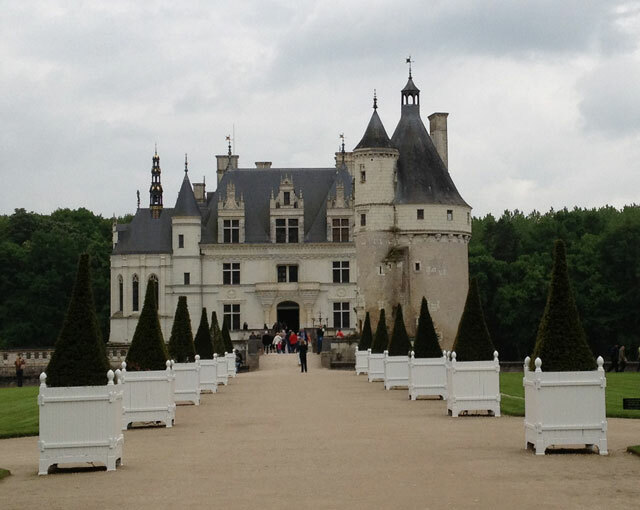 So we decided to visit Chenonceau which is 40 minutes from Closerie Falaiseau. We were surprised to see the parking lot was quite full. There seemed to be a lot of older people milling around, no doubt with guided tours. There are automatic ticket machines though which meant we didn’t have to queue. Chenonceau is a ladies castle, as I’ve already mentioned in another post with photos of the outside of Chenonceau from the bike path. It was built in 1513 by Katherine Briçonnet, decorated by Diane de Poitiers some 30 years later, extended by Catherine de Médicis, used as a place of reclusion by Louise of Lorraine after the death of her husband Henri III, saved by Louise Dupin during the French Revolution, restored by Marguerite Pelouze in the mid-19th century and turned into a temporary hospital during WWI by Simone Menier. Whew! Its location on the Cher River is unique. 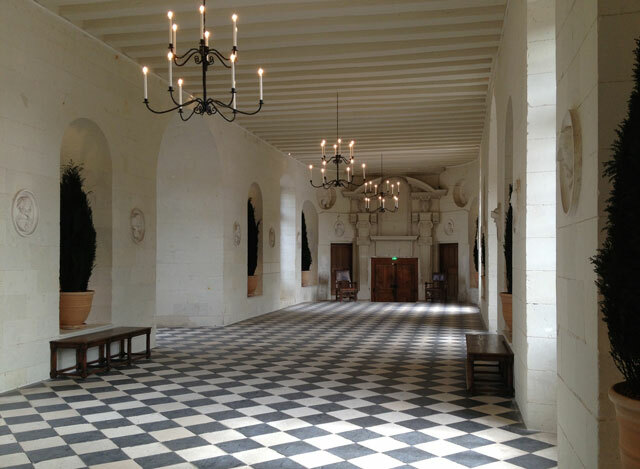 The main gallery, 60 metres long, built by Catherine de Medicis, with its chequerboard slate-tiled floor and magnificent Renaissance fireplace at each end, spans the river, offering incredible vistas on both sides. The original keep is still standing, on the other side of the bridge from the château, and is covered with thick vines of trumpet creeper. 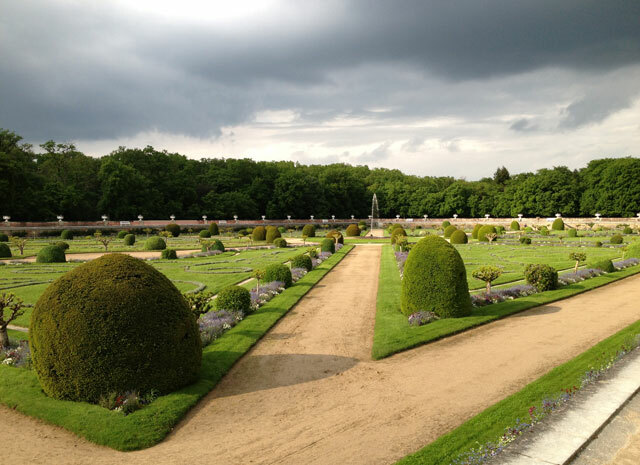 Diane de Poitier’s garden with its eight triangular lawns and climbing iceberg roses can be seen to the left of the château while Catherine de Medici’s more intimate garden, with only five lawns, is on the right. Both offer wonderful views of the château but the best, in my view, are still across the other side. 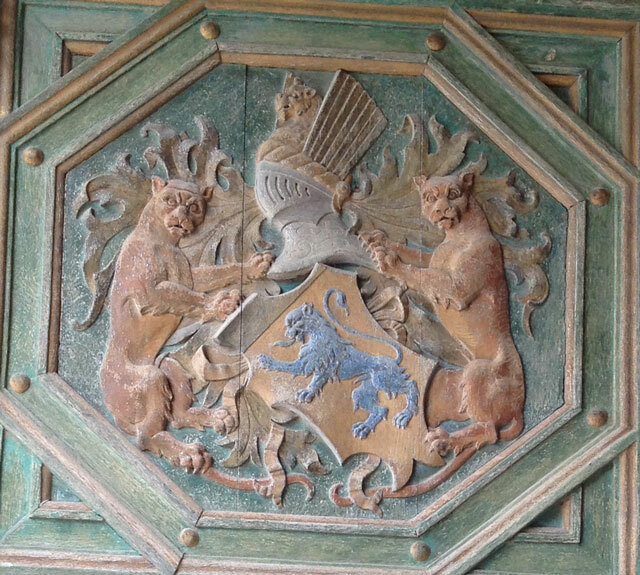 Each room is more sumptuous than the last, although little of the original furniture and furnishings remain, one notable exception being the beautiful painted, sculpted wood door bearing the arms of the first owners, Thomas Bohier and Catherine Briçonnet. 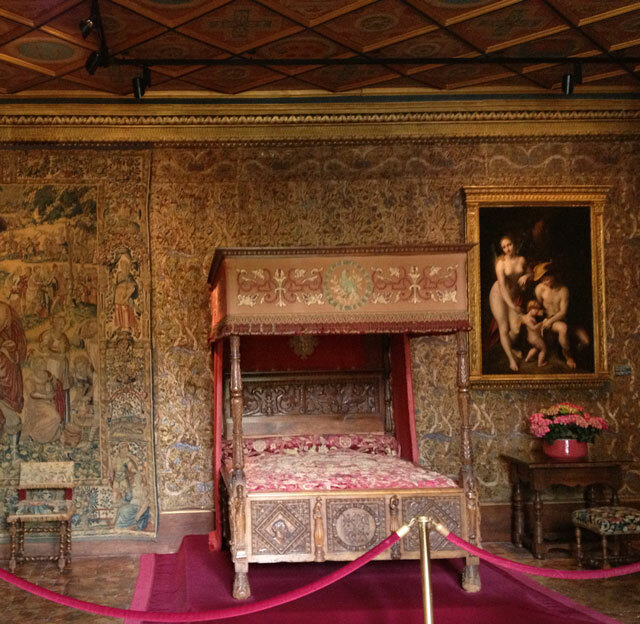 Diane de Poitier’s bedroom with its magnificent 4-poster bed was restored by Madame Pelouze. 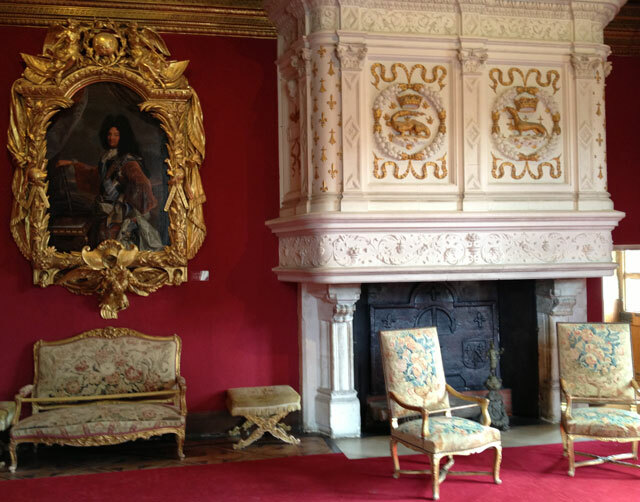 The fireplace is engraved with the initials of Henri II and Catherine de Medicis, H and C, which, when intertwined can form the D of Diane de Poitiers, Henri II’s favourite – and incidentally the mistress of his father, François I – to whom he gave the château which originally belonged to Catherine de Medicis. 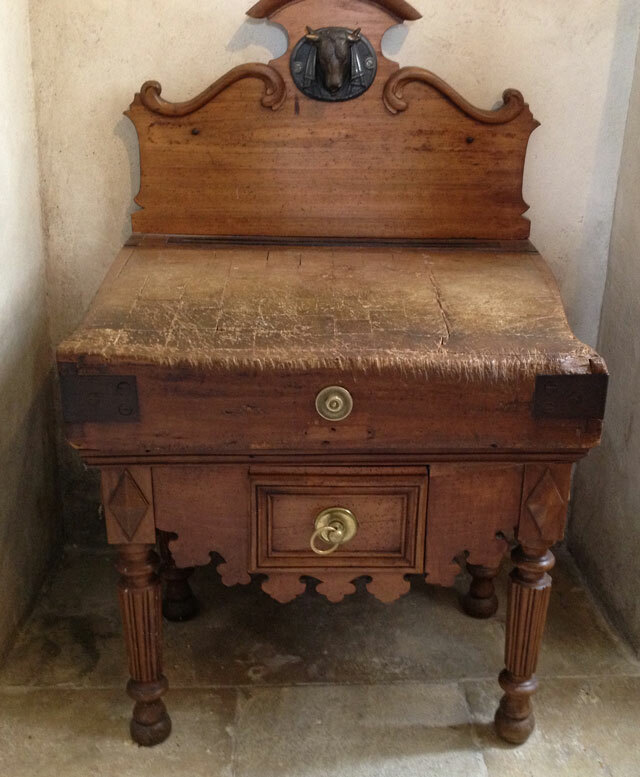 After his death, however, Catherine claimed it back, in exchange for Chaumont. Her bedroom has magnificently carved furniture and a rare set of Flanders Tapestries remarkable for their borders of animals symbolizing proverbs and fables. A painting by Correggio depicting The Education of Love, is one of the château’s many masterpieces, and my favourite. In addition to an exceptional Renaissance fireplace and a remarkable 16th century Italian mother-of-pearl and ivory incrusted cabinet, François I’s drawing room has paintings by Van Dyck, Mancini, Ribera and Van Loo and a portrait of Diane the Huntress by Primaticcio. The salamander and ermine, the emblems of François I and Queen Claude of France on the gold-embossed Renaissance fireplace in Louis XIV’s drawing room, almost pale in contrast with Rigaud’s portrait of the king its extraordinary gold frame. There is another collection of 17th and 18th century French paintings. The kitchens at Chenonceau, built in the bases of the piers under the gallery spanning the Cher, are quite remarkable and include a very elaborate butchery. 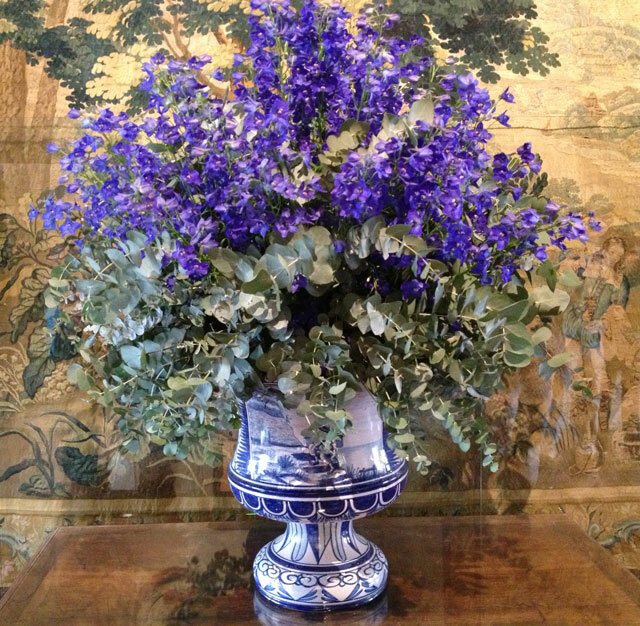 The kitchens were modernised when the château was used as a hospital during WWI. Deliveries were made directly from boats on the river. 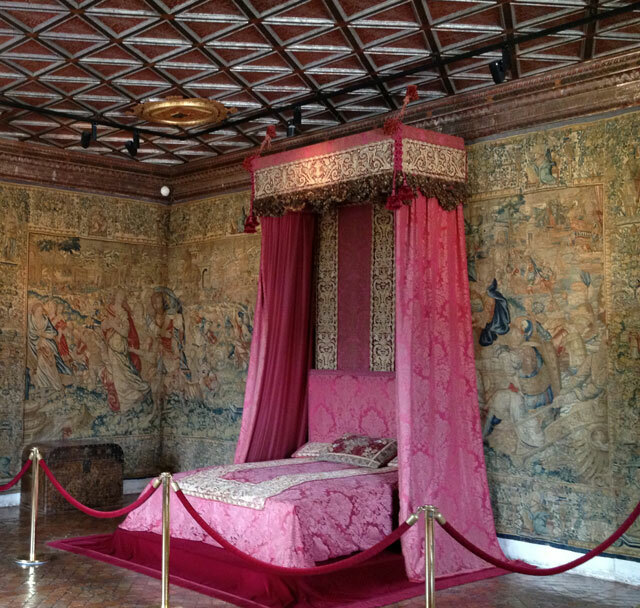 The second floor contains the “gothic” bedroom of the “White Queen”, Louise of Lorraine, where, dressed in the royal mourning colour of white, she prayed and meditated after the assassination of her husband, Henri III. 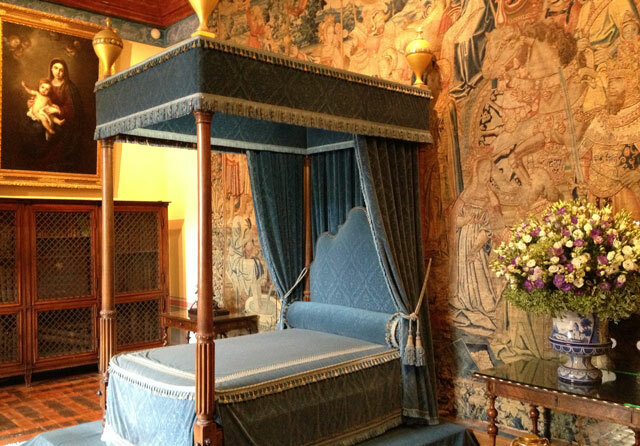 I haven’t described the equally sumptuous bedrooms of César of Vendrôme, Gabrielle d’Estrées and the Five Queens, or the Green Study, the Library, Katherine Briçonnet’s Hall, the Exhibition Room and the Second Floor Hall, but all contain the same high quality furnishings, furniture and masterpieces. 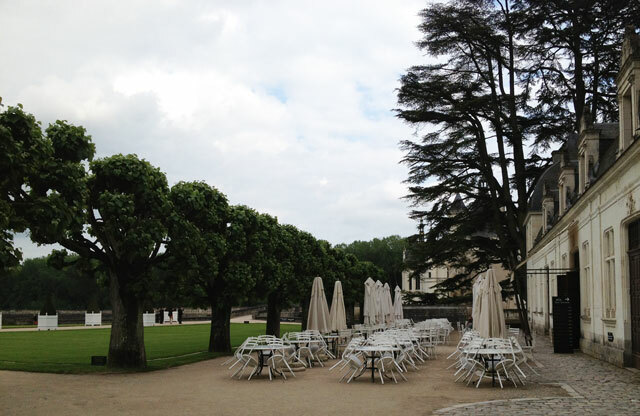 At about 5.30, when we finished visiting the interior, we had a coffee and a disappointing patisserie sitting outside the cafeteria looking toward the château. There were very few people by then, but given the very reasonable prices, I imagine it’s packed at lunchtime. 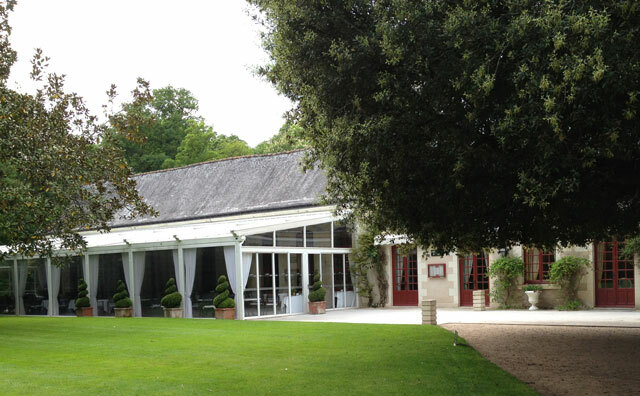 There is also a gourmet restaurant in a beautiful setting (the former Orangery) on the other side of the building with a set menu of 29 euro. Unfortunately, we were too late for teatime (3 to 5 pm). We passed through the wine cellar, where tastings are 2 euro per person. 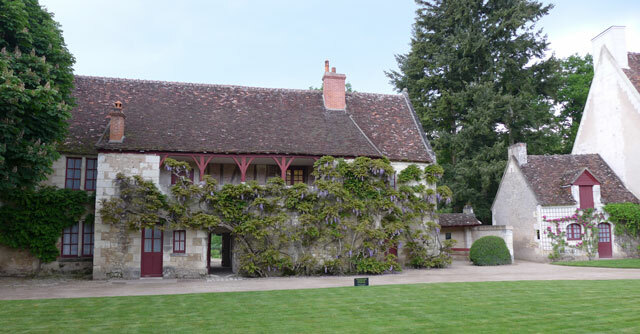 We have a wonderful memory of drinking vintage chenonceau in the Orangery restaurant which we then bought from the cellar, but this time, they were only selling wines from 2010 and 2011 (8 and 10 euro a bottle). 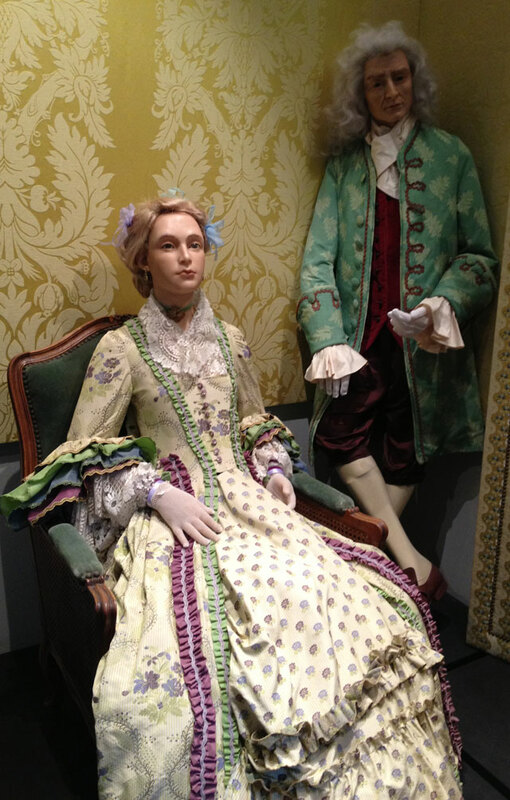 Our visit to the wax museum was very disappointing, except for the costumes which are quite beautiful; the wax models are not of very good quality and don’t resemble the people portrayed. Given the number of foreign visitors, I thought the video at the beginning could have been offered in English as well. But the biggest surprise was the 16th century farm, including Catherine de Medici’s stables, which I had never seen before. At 7 pm, we were the only visitors. Wisteria, climbing roses and trumpet creepers grace several very charming little houses organised around a circular lawn. 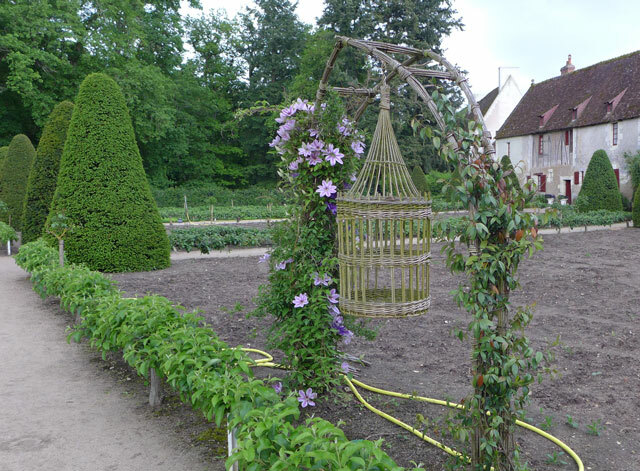 Behind the farm is the vegetable and flower garden which supplies the château’s superb floral arrangements, one in each room, which are worth a post of their own. 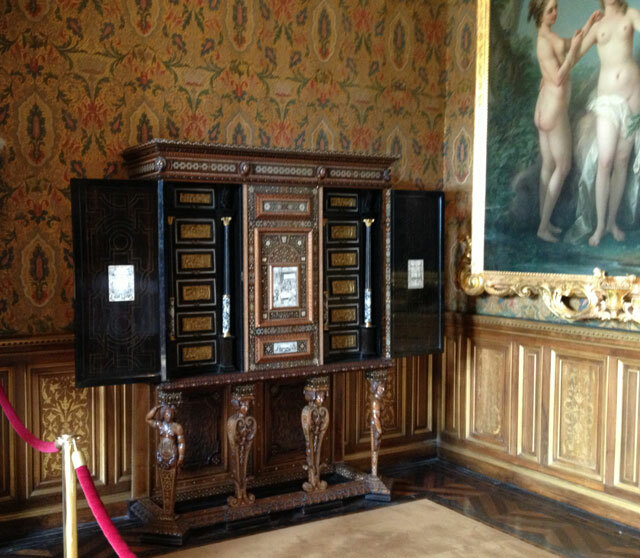 We didn’t see Catherine de Medici’s Italian maze as we ran out of time, but we’ll make sure we see it next time! 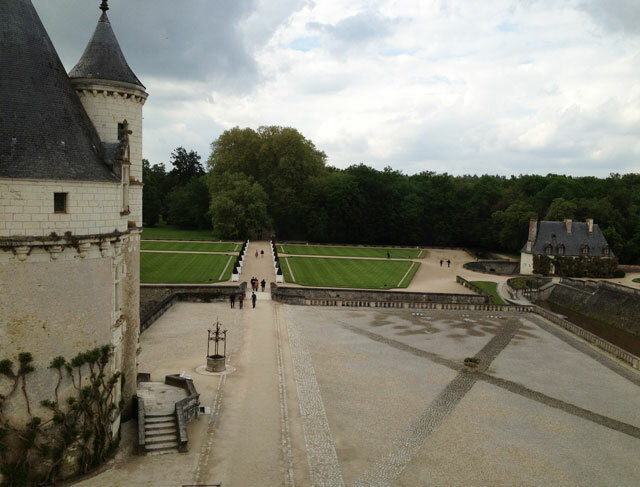 This entry was posted in Cycling, France, Loire Valley, Loire Valley châteaux, Sightseeing and tagged Catherine de Medicis, Château de Chenonceau, Diane de Poitiers, Katherine Briçonnet, Louise Dupin, Louise of Lorraine, Marguerite Pelouze, Simone Meunier. Bookmark the permalink. 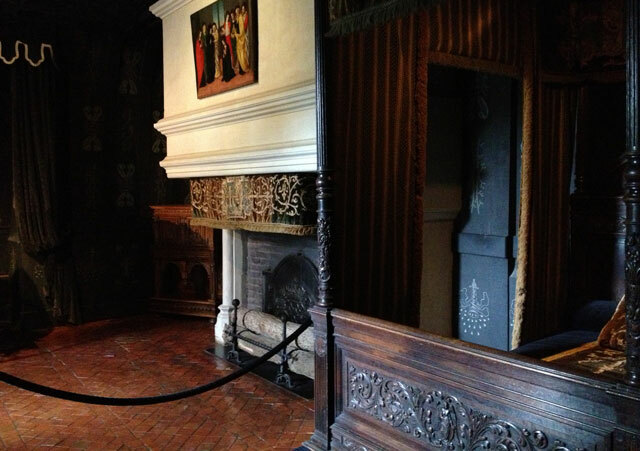 I have gazed at these rooms, and photographed them, on several occasions but I never knew the history of them (except the room where Catherine firmly removed Diane’s famous naked portrait and had her own in black garb firmly plastered into position!!). I detest guided tours so that’s the price I pay. Glad to know more of the history of the various rooms. I didn’t know about Catherine removing Diane’s naked portrait! The guided tours I dislike the most are the ones where the guide adds “human-interest” tidbits just to keep everyone’s interest up. Great pictures, Rosemary. 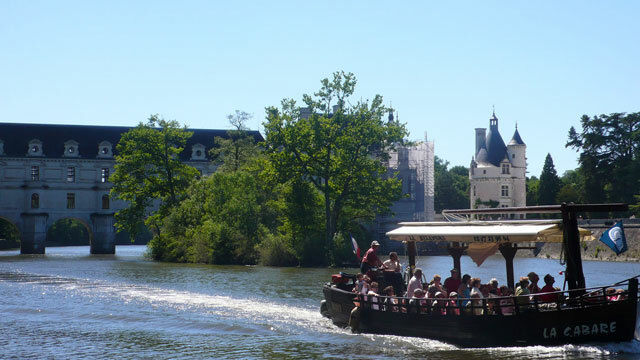 We loved Chenonceau the best too. Thanks Anda. Looking forward to seeing your photos too.